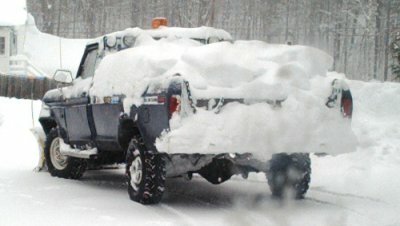 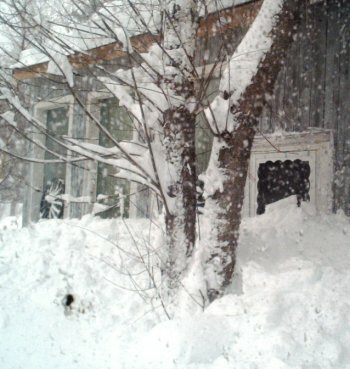 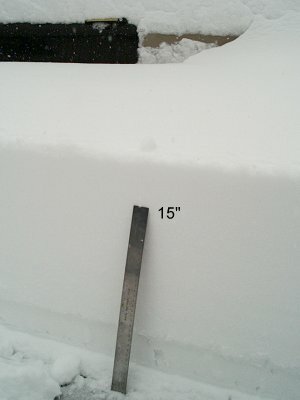 March 5 2001, it snowed lightly all day, leaving about 5" by midnight. 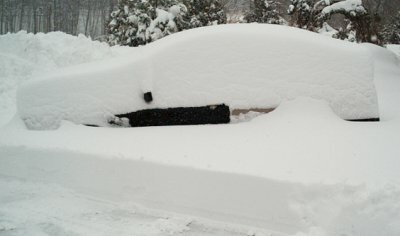 This is what I woke up to. 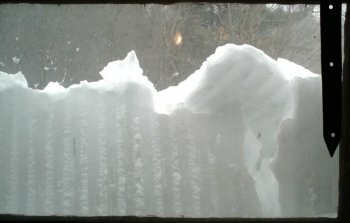 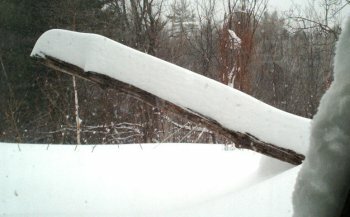 These views out the windows show the snow that has slid off the roof so far, and the build up on my "sundial."